Colorado House Minority Leader Patrick Neville was a sophomore at Columbine High School in 1999 when two teens shot and killed 13 people and left 20 other wounded before killing themselves. Today, Neville pushes for an end to gun-free zones in schools, arguing an expansion of concealed-carry laws would help prevent deadly school shootings like the one just last week in Parkland, Fla., at Marjory Stoneman Douglas High School. "Time and time again we point to the one common theme with mass shootings, they occur in gun-free zones," Neville told The Washington Times. "This act would allow every law-abiding citizens who holds a concealed carry permit, issued from their chief law-enforcement officer, the right to carry concealed in order to defend themselves and most importantly our children from the worst-case scenarios." Neville has filed the bill relative to allowing concealed handguns on school grounds every year since he was first elected in 2014. 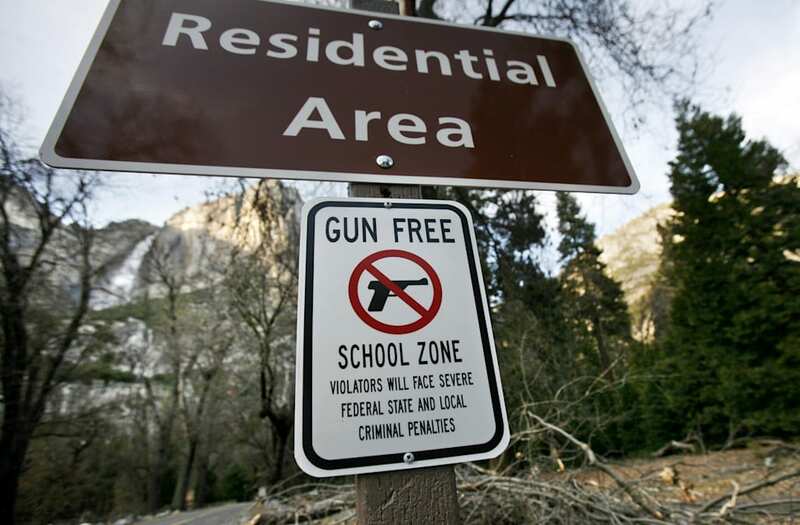 Current Colorado state law allows permit holders to bring firearms onto school property, but they must keep the weapons inside a vehicle. While Neville has previously voiced he feels more Columbine students would have survived the high school massacre if the administration had been armed with guns, current students are mobilizing around gun reform advocacy in the wake of Florida's recent shooting. "My message for the people in office is, you're either with us or against us," student Cameron Kasky said on Sunday while discussing a planned March 24 demonstration in Washington, D.C. "We are losing our lives while the adults are playing around. This is about us creating a badge of shame for any politicians accepting money from the NRA and using us as collateral." About a dozen students in Washington, D.C., staged a "lie in" in front of the White House on Monday, holding signs that read "Am I next?"